Below is a list of the associations Electrical Process Development Ltd either donates to or is actively involved in. 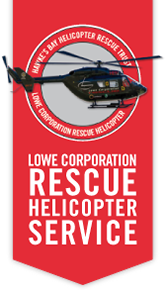 As an active member of the Hawke's Bay Community, at Electrical Process Development we are proud to be Silver Sponsor's of the Hawke's Bay Helicopter Rescue Trust. This service has been around in one form our another since the 1960's, providing a dedicated rescue helicopter to those with critical injuries and in need of emergency medical care. The Trust also directly supports the local Police and National Search and Rescue services, covering a vast area. This service is a 24 hour, 7 day operation and it is only with the support of it's major key sponsor - Lowe Corporation - the various Associate Sponsors and companies like EPD, that this service can continue to run free to anyone in the Hawke's Bay region that needs it. This very worthy event has been running throughout Australia for over 20 years, currently in 21 different markets. The events in New Zealand have started more than 13 years ago and include Wellington, Manawatu / Wairarapa, Christchurch / Ashburton, Auckland, Waikato, Tauranga / BOP, Rotorua and Timaru. The SCCPNZ also host mid year events in the New Plymouth, Wanganui, Tauramanui, Hawkes Bay and Taupo regions, called the Special Children's Extravaganza's.